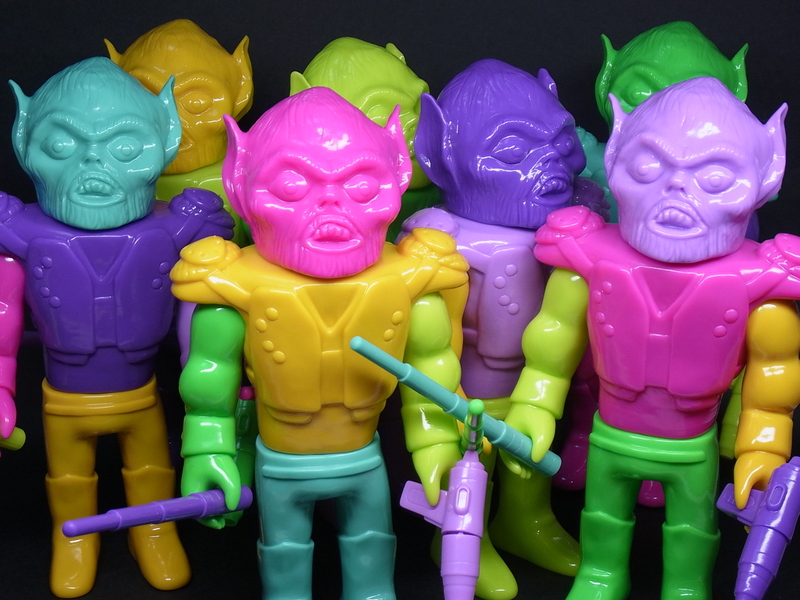 The new Gargamel Micro Series are now in stock! Try your luck with the Gargamel Nazo-Gacha set, blind-bagged capsule toys featuring an assortment of 8 different characters, including two randomly inserted chase figures! While you’re at it, check out the mixed parts Bronco Willis from Gargamel and Le Merde’s Misty Fog! The 7″ tall multi-colored galactic-primate is fully equipped with laser pistol and space-sword, available now! And the hideous blast from the past, the Super7 x Gargamel Marbled Muck Hedoran rings in the new year in black and orange marbled vinyl with soft silver spray, just like the good old days.